Tehri Garhwal is one of Uttarakhand's largest districts. It is at a distance of about 300 km from Delhi and 110 km from the capital city of Dehradun. 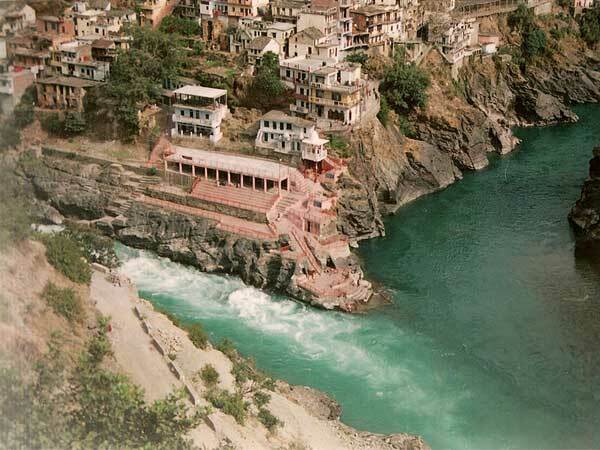 Tehri Garhwal is the place where the rivers Bhagirathi and Alaknanda join, also the place of river Ganga's arrival in her real form at Devprayag. The town is filled with a number of places to visit, one of which is the famous Tehri Dam, one of the world's largest hydroelectric dams ever harnessed! How Did Tehri Garhwal Get Its Name? There's an interesting theory behind the name of this place. Tehri comes from the word Trihari, symbolizing a place that supposedly washes three kinds of sins, namely, those sins which rise out of Mansa, Vacha and Karmana. These three Sanskrit words mean "thought", "word" and "deed", respectively. Before 888 AD, the entire region was split into 52 different garhs or "Forts" reigned by different kings. The prince of Malwa Kanakpal slowly conquered all these garhs along with his descendants and ruled the Garhwal Kingdom for almost a 1000 years after that. This is where the word Garhwal comes from. Tehri Garhwal has relatively pleasant temperature throughout the year and can be visited at any time. If you want to witness the snow covered city of Tehri Garhwal, then visit during the winters. The summers are however are balmy and refreshing. By Air: Jolly Grant Airport or the Dehradun Airport located 44 km from Tehri Garhwal is the closest one. Frequent flights from Delhi to Dehradun are available. Flights for places like Mumbai and Lucknow are also available. By Rail: Rishikesh has the nearest railway station to Tehri Garhwal. Trains from Haridwar and Delhi are regularly available. By Road: Well-connected roadway network is available from Tehri to other neighbouring cities. Privately owned buses, government buses and taxis are available from places all around such as Uttarkashi, Haridwar, Rishikesh, etc. Here are the places that you can visit in and around Tehri. The Tehri Dam is the tallest hydroelectric dam in India and eighth tallest in the world. It draws water from the two magnificent rivers of the Himalayas, i.e, the river Bhagirathi and river Bhilangana. Built across the river Bhagirathi, Tehri Dam is also Asia's second largest dam. It is settled on the foothills of Himalayas and is one of the most famous tourist attractions of Tehri. The Tehri Dam's Reservoir forms a huge lake known as Tehri Lake. The lake offers plenty of water sports activities such as scuba diving, jet skiing, rafting, kayaking, , etc. The Tehri Lake Festival an annual 2-day festival, which also takes place here, is filled with excitement and a lot of water sports activities. Apart from water sports, there are quite a few enticing trekking trails in Tehri Garhwal. Perched at an altitude of 618 m, Devprayag is the place of confluence of rivers Bhagirathi and Alaknanda, from where it will be known as river Ganga. A temple dedicated to Lord Rama is situated here since it is believed that Lord Rama and King Dasharatha performed penance at this place. A bathing ghat with varying levels of water is available, since the confluence is considered holy by Hindu devotees. A surprisingly quiet hill station, Kanatal is a perfect place for those who enjoy being in solitude and peace. This picturesque place is filled with beautiful lush green, apple trees, regal mountains, all making it a great getaway for nature lovers. Few hotels in Kanatal offer a breathtaking view of snow-capped hills, therefore, if you wish to wake up to such a view, you can stay in one of these hotels. Chamba is a town located 18 km from Tehri Garhwal, located in Himachal Pradesh. It is packed with places to visit such as the beautiful glittering Khajjar Lake and Manimahesh Lake, Kalatop Wildlife Sanctuary, Chamera Dam, to name a few. Kalatop Wildlife Sanctuary is a home to wildlife such as barking deer, jackal, leopard, etc. Chamera Dam is built on river Ravi where you can see its beautiful emerald coloured water. Dhanaulti is a hill station located just 30 km from Tehri Garhwal. It is a beautiful scenic place that plays host to the forests of Rhododendrons, Deodar and Oak trees. Amber and Dhara are two eco-parks in Dhanaulti which are the popular tourist attractions. Located 200 m apart from each other, these parks are developed by Uttarakhand's Forest Department and house a patch of breathtaking trees of Deodar. Surkanda Devi Temple is a Hindu temple, located close to Dhanaulti and perched at height of 9976 ft. Encircled by beautiful lush trees, the elevation at which the temple is located offers a fantastic view of the Himalayas in the north and a few picturesque cities in the south. Peak time to visit this temple is between the months of May and June, when the Ganga Festival takes place every year. Tourists and devotees visit the temple from all over the country.